On August 20, 2019 the Talea Ensemble will perform Simanim (Signs/Traces) at the TIME SPANS Festival in New York, USA. A new book Live Electronics im/in the SWR Experimentalstudio, edited by Dániel Péter Biró, Jonathan Goldman, Detlef Heusinger and Constanze Stratz, was recently published by Wolke Verlag. Dániel Péter Biró was recently commissioned by the Ultraschall Festival Berlin for a new work for mezzo-soprano Hildegard Rützel and the Ensemble Mixtura (Margit Kern, accordion and Katharina Bäuml, shawm). This new composition De Natura et Origine will be performed on January 17, 2019 at Heimathafen Neukölln in Berlin, Germany. A portrait concert with works by Dániel Péter Biró was presented in the Avgarde Concert Series on Dec. 5, 2018 at the University of Bergen Aula in Bergen, Norway. The concert, including the string quartet Lizkor Velishkoach (To Remember and to Forget) and Gvul (Border) for piano and electronics, was performed by members of the Bit20 Ensemble and pianist Ermis Theodorakis. On Nov. 26 a new version of Gvul (Border) was premiered by Ermis Theodorakis at the Ariowitsch-Haus, Zentrum Jüdischer Kultur as part of the Forma Leipzig concert series in Leipzig, Germany. On Nov. 23, 2018 the work Mishpatim (Laws) Part 1 and Gvul (Border) were performed as part of the Konzert des Musikalischen Kultursalons at the Zentrum für Gegenwartsmusik at the Leipziger Hochschule für Musik und Theater “Felix Mendelssohn Bartholdy” in Leipzig, Germany. Mishpatim (Laws) was performed by students of the Musikhochschule, with Chi Chang as soloist, conducted by Reinhard Schmiedel and Gvul (Border) was performed by Ermis Theodorakis. On Nov. 12, 2018 Dániel Péter Biró gave the lecture Composing Spinoza’s Ethics: Charting a Migration of Spirit Through Sound during the conference Nomadic Dialogues -Telavåg at at the Faculty for Art, Music and Design at the University of Bergen. On September 26, 2018 he took part in the Borealis Listening Club with Freja Bäckaman and Peter Meanwell in Bergen, Norway. in Musik ausgedrückt ” at the Nikolausberger Musiktage in Göttingen, Germany. Starting August 1, 2018 Dániel Péter Biró is Associate Professor (Førsteamanuensis) at the Grieg Academy – Department of Music, University of Bergen in Bergen, Norway. A portrait concert of his works was presented at the Americas Society in New York on May 4, 2018. In this portrait concert, sections of his composition cycle Ethica, based on text of Baruch Spinoza, were performed by the Schola Heidelberg and ensemble aisthesis, Walter Nußbaum, conductor. This concert was followed by concerts in Winnipeg, Victoria and Vancouver as part of the tour of the KlangForum Heidelberg May 6-11, 2018. These events happened in collaboration with the SALT New Music Festival and Symposium, Open Space, the University of Manitoba Desautels Faculty of Music, GroundSwell, Vancouver New Music and were made possible through support from the John Simon Guggenheim Memorial Foundation, the Canada Council for the Arts, the BC Arts Council and the Goethe Institute. More information can be found here. Dániel Péter Biró was featured in the publication Canadian Excellence, Global Recognition: Canada’s 2017 Winners of Major International Research Awards, published by Universities Canada. On February 3, 2018 the Lafayette String Quartet performed Dániel Péter Biró’s string quartet Lizkor Velishkoach (To Remember and to Forget) at the Phillip T. Young Recital Hall, School of Music, University of Victoria. On Jan. 31, 2018 he presented the lecture “Composing Spinoza’s Ethics,” at the Royal Society of Canada Pacific Chapter Inaugural Event, Peter Wall institute for Advanced Studies, University of British Columbia. On January 8, 2018 at 21:05 Central European Time, the composition Nulla Res Singularis, performed by the Schola Heidelberg and ensemble aisthesis, Walter Nußbaum, conductor, was presented on Deutschlandfunk. Dániel Péter Biró was commissioned by the Hannover Gesellschaft für Neue Musik to write a new composition for countertenor Kai Wessel and the Ensemble Mixtura (Margit Kern, accordion and Katharina Bäuml, shawm). This composition commission received support from the Canada Council for the Arts and was premiered on November 19, 2017 at the Sprengel Museum in Hannover, Germany. A short video about the concert can be found here. On October 27, 2017 Dániel Péter Biró discussed his composition Nulla Res Singularis, based on text from Baruch Spinoza’s Ethics and commissioned by the Klangforum Heidelberg on the radio program “Festival Diktaturen” in SWR 2 (German State Radio). On October 15 and November 9 his composition Mishpatim (Laws) Part 1 was performed by the Aventa Ensemble at the University of Victoria School of Music and at the ISCM World Music Days in Vancouver. The radio program “Verfolgt, vertrieben, verboten. Wenn Komponisten ins Kreuzfeuer politischer Ideologien geraten” of “Persecuted, expelled, forbidden: When composers fall into the crossroads of political ideologies, “ which dealt with the work of Dániel Péter Biró, was presented in the German Radio (SWR) on October 9, 2017 at 11:00 PM. On October 29, 2017 Nulla Res Singulars for five singers and string quintet was performed by the Schola Heidelberg and ensemble aisthesis, Walter Nußbaum, conductor. This composition, commissioned by the Klangforum Heidelberg, with support from the Canada Council for the Arts was part of the project Diktaturen. From July 20 – August 25, 2017 Dániel Péter Biró took part in the project Narratives of Memory, Migration, Xenophobia and European Identity: Intercultural Dialogues in Hungary, Germany, France and Canada. This project, combining an international summer field school with three concerts at historical locations in Europe, was funded by the European Commission and the Art Mentor Foundation Lucerne. A new work for piano and electronics entitled Gvul (Border), commissioned by Ermis Theodorakis and supported from the Canada Council for the Arts, was premiered by Ermis Theodorakis during the course on July 25, 2017 at the Site-Mémorial du Camp de Milles in Aix-en-Provence, France. The electronics were created in conjunction with Sam Wolk. More can be read here. On July 4, 2017 his composition Mishpatim (Laws) Part 1 was performed by the Ensemble Surplus at the E-Werk in Freiburg, Germany. On June 2, 2017 Shevarim (Breakings) for piano solo was performed by Donald Berman at Bargemusic in New York. On April 2, 2017 at 2:00 PM Dániel Péter Biró presented a lecture about the Mediterranean Voices Project at the Congregation Emanu-El in Victoria, BC. In the lecture he discussed his composition Al Ken Kara (That Is Why It Was Called) for seven voices written for the Neue Vocalsolisten. In April 2017, Dániel Péter Biró was awarded a fellowship from the John Simon Guggenheim Memorial Foundation. From March 27-29, 2017 he took part in the workshop Computational Ethnomusicology: Methodologies for a New Field at the Lorentz Center at the University of Leiden, the Netherlands. On January 9, 2017 he presented a lecture at the Centre for Studies in Religion and Society about his new composition entitled Ethica based on the text of Baruch Spinoza. On January 14, 2017 his composition Al Ken Kara (That Is Why It Was Called) was performed by the Neue Vocalsolisten at the Festival Átlátszó Hang in Budapest, Hungary. From November 8-11, 2016 he took part in the symposium on Verweigerung (Refusal/Denial) at the Forum für Musikästhetik (Forum for Musical Aesthetics) at the University of Basel in Basel, Switzerland. On November 6, 2016 he lectured on his work at Congregation Emanu-El in Victoria, BC where his work Kivrot HaTa’avah (Graves of Craving) was performed by flutist Mark Takeshi McGregor. In 2016-2017 Dániel Péter Biró was Artist-in-Residence at the University of Victoria Centre for Studies in Religion and Society. There he worked on a new composition based on Baruch Spinoza’s philosophical work Ethica for the Klangforum Heidelberg. On October 5, 2016 his composition Mitoch He’anan (From the Midst of the Cloud) Version II was performed by Kovalis Duo, with pianist Roger Admiral and percussionist Philip Hornsey at La Chapelle historique du Bon-Pasteur in Montreal, QC. On September 12, 2016 the composition Kivrot HaTa’avah (Graves of Craving) Version II was performed by Mark McGregor, flute, and Felipe de Almeida Ribeiro, electronics, at the International Symposium of New Music in Curitiba, Paraná, Brazil. The paper presentation entitled “Melodic Stability and Memory Analysis in Semi-Oral Chant Traditions: A Computational Study of Qur’an Recitation and Torah Trope” with Dr. Peter van Kranenburg (Meertens Institute) and Dr. George Tzanetakis (University of Victoria) was accepted to the Analytical Approaches to World Music Conference held from June 8–11, 2016 at The New School in New York. An abstract of the paper can be read here. Dániel Péter Biró was commissioned by Ermis Theodorakis to write a new work for piano and electronics to be premiered in 2017. Funding for this commission comes from the Canada Council for the Arts. On May 12, 2016 he presented the talk “Religious Recitation as Oral Culture” at the Symposium on Transmission of Tunes and Tales in Amsterdam, The Netherlands. The symposium was the final event of the Tunes and Tales Project, which was carried out at the Meertens Institute, Amsterdam, 2012-2016. On May 14-15, 2016 he recorded the second and third parts of the composition cycle Mishpatim (Laws) with the Ensemble Surplus at the SWR radio in Freiburg, Germany. The recording, to be released by Neos Music in 2016, is funded by the Barr Ferree Fund of Princeton University and the University of Victoria, Office of Research. On March 5, 2016 a new version of his composition Al Ken Kara (That Is Why It Was Called) was premiered by the Neue Vocalsolisten at the Osterfestival Imago Dei in Krems, Austria. On February 26, 2016 the composition Bemitzraim (In Egypt) was performed by David Gutfleisch, a member of Frantic Percussion, at Syker Vorwerk in Syke, Germany. A review of the concert (in German) can be read here. On February 22, 2016 he recorded the first part of the composition cycle Mishpatim (Laws) with the Ensemble Surplus at the SWR radio in Freiburg, Germany. The recording, to be released by Neos Music in 2018, is funded by the Barr Ferree Fund of Princeton University and the University of Victoria, Office of Research. On February 9, 2016 he took part in the symposium Torah and Qur’an Recitation in the Netherlands together with Peter van Kranenburg, Fred Gales, and reciters from Jewish and Muslim communities in the Netherlands at the Meertens Institute in Amsterdam, Netherlands. From December 9 – 10, 2015 he presented lectures about his music and taught music composition at the festival VIRTUOSI XVIII in Recife, Brazil. On December 10, 2015 his composition Salvim (Quails) was performed by violist Rafael Altino at the Teatro Eva Herz. Dániel Péter Biró was recently elected to the Royal Society of Canada College of New Scholars, Artists and Scientists. On November 28, 2015 he presented the lecture “Music Composition as Research of History and Memory” and his composition Kivrot Hata’avah (Graves of Craving) was performed by Mark McGregor, flute, Dániel Péter Biró and Kirk McNally, electronics at the Gala of the Royal Society of Canada Annual General Meeting. In 2015 he was commissioned by the Klangforum Heidelberg to write a new work for seven voices and twenty instruments. This new work, entitled Sefirot (Emanations), was premiered by the Schola Heidelberg and the Ensemble Aisthesis at the University of Heidelberg on October 16, 2015 with further concerts at the Technoseum in Mannheim on October 17, 2015 and the Wilhelm-Hack-Museum in Ludwigshafen on October 18, 2015. From July 23 – 27, 2015 he was active as a composer, guitarist of the Tsilumos Ensemble and composition teacher, lecturer and Managing Director of the SALT New Music Festival and Symposium in Victoria, BC, Canada. There his composition for solo bass flute, Kivrot HaTa’avah (Graves of Craving) was performed by Sylvie Lacroix. A review by Arnold Whittall of the book The String Quartets of Béla Bartók: Tradition and Legacy in Analytical Perspective (Oxford University Press),co-edited by Dániel Péter Biró and Harald Krebs, appeared in the summer 2015 volume of the Musical Times. The composition Mitoch He’anan (From the Midst of the Cloud) was premiered by Kovalis Duo, with pianist Roger Admiral and percussionist Philip Hornsey at New Music Edmonton in Edmonton, Alberta, Canada on June 6, 2015. On May 9, 2015 he presented the lecture “On the Historical Development and Practice of the Ta’amei Hamikra” at the Worship and Study Minyan at Harvard University Hillel. On April 21, 2015 he presented the lecture “On Transcription” at the Music Department at Princeton University. On April 23, 2015 he presented the lecture “Musical Topics in Music of the 20th/21st Centuries” at the CUNY Graduate Center. From April 17 – August 16, 2015 the installation Memory – a collaborative, non-representaional multimedia project – with Christophe Laudamiel, David Edwards and Rachel Field, was presented at Le Laboratoire in Cambridge, MA, USA. Dániel Péter Biró was awarded a fellowship from the Radcliffe Institute for Advanced Study at Harvard University for 2014-2015. During the time at the institute he worked on the completion of the composition cycle Mishpatim (Laws). He presented a lecture/ concert featuring sections of this composition cycle at the Knafel Center of the Radciffe Institute for Advanced Study on April 8, 2015. In March 2015 Dániel Péter Biró recorded sections of the Mishpatim (Laws) cycle with Noa Frenkel, Ermis Theodorakis, the Ensemble Surplus, Sam Wolk and the Experimentalstudio in the studios of the SWR in Freiburg, Germany. On February 26, 2015 he gave the keynote lecture “Ehyeh-Asher-Ehyeh: The Future of Historicized, Non-Representational New Music” at the conference New Tendencies of Contemporary Music in Germany in the Harvard Department of Music. A review of the conference can be read here. A review by Nicholas Kitchen entitled “B(u)y the Book” of The String Quartets of Béla Bartók: Tradition and Legacy in Analytical Perspective (Oxford University Press), co-edited by Dániel Péter Biró and Harald Krebs, appeared in the winter 2015 issue of the magazine Chamber Music. In March 2015 he took part in the Festival international Montréal/Nouvelles Musiques and Matrix 15 on Tour in Montréal, Canada. His composition Vayiru Et (And They Saw) – In Memoriam Matan Givol was performed by the Meitar Ensemble and the Experimentalstudio. From January 29 – February 1, 2015 he visited the University of Music, Drama and Media in Hannover, Germany taking part in lectures, podium discussions and concerts. In December 2014 Dániel Péter Biró recorded sections of the Mishpatim (Laws) cycle with Noa Frenkel, the Ensemble Surplus, Sam Wolk and the Experimentalstudio in the studios of the SWR in Freiburg, Germany. This recording project is supported by the Radcliffe Institute for Advanced Study at Harvard University, the Barr Ferree Fund of Princeton University and the University of Victoria, Office of Research. On September 22, 2014 he presented recent compositional work in a colloquium of the Harvard Group for New Music in the Department of Music, Harvard University. From September 13 – 18, 2014 Dániel Péter Biró took part in the SIMN 2014 / Matrix14 on Tour in Curitiba, Brazil. There he taught composition, lectured on his music and performed with the Tsilumos Ensemble. In the final concert his composition Kilkul (Breakdown) was performed by Kristofer Covlin. On August 4, 2014 he took part in the Darmstadt Forum where he delivered the talk entitled “Existence and Distraction.” A German translation of this text was published in the journal Musik & Ästhetik in January, 2015. On May 14, 2014 at 11:03 PM Central European Time his composition Al Ken Kara (That Is Why It Was Called) for seven voices, commissioned by Musik der Jahrhunderte for the Neue Vocalsolisten, was broadcast on German Radio (SWR 2). Presentation of paper with Peter van Kranenburg: “A computational re–examination of Béla Bartók’s transcription methods as exemplified by his sirató transcriptions of 1937/1938 and their relevance for contemporary methods of computational transcription of Qur’an recitation” at the 4th International Workshop on Folk Music Analysis (FMA) from June 12-13 2014 at Bogazici University in Istanbul, Turkey. The composition Bemitzraim (In Egypt) was performed on March 19, 2014 at the Berger Park Cultural Center in Chicago, USA by percussionist Ryan Packard in a concert of the Fonema Consort. Bemitzraim (In Egypt) was performed on May 22, 2014 at the Foro Internacionel de Música Nueva Maunuel Enríquez in Mexico City. A review (in Spanish) of this concert can be read here. Book launch of The String Quartets of Béla Bartók: Tradition and Legacy in Analytical Perspective, co-edited by Dániel Péter Biró and Harald Krebs at the Wirth Institute in Edmonton, Alberta, March 17, 2014. The book The String Quartets of Béla Bartók: Tradition and Legacy in Analytical Perspective, co-edited by Dániel Péter Biró and Harald Krebs has been published by Oxford University Press. The recording of the composition for solo bass flute, Kivrot HaTa’avah (Graves of Craving) was done with Sylvie Lacroix and Stephen Ferguson at the University of Vienna from February 14–16, 2014. The composition Al Ken Kara (That Is Why It Was Called) premiered as part of the Mediterranean Voices Project. at the Eclat Festival on February 9, 2014. A concert review (in German) in the Neue Musikzeitung can be read here. Al Ken Kara (That Is Why It Was Called) was performed on May 24, 2014 at the Teatro de la Zarzuela in Madrid, Spain. Al Ken Kara (That Is Why It Was Called) Version II was premiered on July 26, 2014 at the Teatro Fondamenta Nuove in Venice, Italy. On January 8, 2014 he gave the lecture “Mahler’s Modernities” in the School of Music, University of Victoria. This lecture examined Mahler’s lasting legacy as exemplified in compositions from the 20th and 21st centuries. From December 12–15, 2013 Dániel Péter Biró took part in the Mediterranean Voices Conference of the Neue Vocalsolisten in Stuttgart, Germany. On November 18 and 19, 2013 Dániel Péter Biró gave a series of lectures on musical topics in music of the 20th and 21st centuries as well as on computational ethnomusicology at the Department of Music at Princeton University. On November 13, 2013 he presented the lecture “Current Compositional and Ethnomusicological Research” at the Music Department, University of Haifa in Haifa, Israel. Dániel Péter Biró’s composition for solo bass flute, Kivrot HaTa’avah (Graves of Craving), was selected as an independent submission for the ISCM (International Society of Contemporary Music) 2013 World New Music Days in Kosice, Bratislava, and Vienna. This new composition was premiered by Sylvie Lacroix on Novmeber 11, 2013 at the Konzerthaus in Vienna, Austria as part of the festival Wien Modern. From November 6–10, 2013 he investigated Jewish and Islamic chant practices in Djerba and Tunis, Tunisia, taking part in a film project directed by Daniel Kötter. The resulting film installation and music composition Al Ken Kara (That is Why it Was Called) is part of Mediterranean Voices Project. From October 11–15, 2013 he taught composition and lectured on his compositions with live electronics at the Matrix Academy for Electronic Music at the Experimentalstudio in Freiburg, Germany. In 2013 the compositions of Dániel Péter Biró were accepted for publication by Edition Gravis (Berlin). From August 1 – 18 he taught composition with Chaya Czernowin and Steven Kazuo Takasugi at the International Masterclass for Young Composers at the Akademie Schloss Solitude (Stuttgart, Germany). From June 20 – 23, 2013 Dániel Péter Biró took part in the Mediterranean Voices Conference of the Neue Vocalsolisten in Stuttgart, Germany. On June 6 and 7, 2013 he lectured at the 3rd International Workshop on Folk Music Analysis in Amsterdam, Netherlands. Dániel Péter Biró was teaching, lecturing and performing at the 2013 SALT New Music Fetival and Symposium from May 25 – June 2, 2013 at the University of Victoria School of Music and Open Space. On June 2, 2013 he premiered three new works by Wolf Edwards, Steven Kazuo Takasugi and Gianluca Ulivelli with the Tsilumos Ensemble at Open Space. On April 17, 2013 he gave a talk about his compositions with live electronics at the Composition Department at New York University. On April 12, 2013 Livnat Hasapir (Sapphire Brickwork) was performed by the Talea Ensemble at the University of Victoria, School of Music. On March 16, 2013 Moshe Aharonov of the Meitar ensemble performed a new work for solo violin at the Center for Contemporary and Electronic Music in Tel Aviv, Israel. A revised version of this composition entitled Vaya’al Moshe (And Moshe Ascended) was performed at the Theaterhaus Stuttgart on September 18, 2013. On February 23, 2013 his new work for choir was performed by the Vienna Jeunesse Choir at the Radio–Kulturhaus of the ORF (Austrian State Radio). On January 19, 2013 the new composition Gam Zera (Also the Seed) was performed at New Music Concerts in Toronto by the Ensemble Surplus. A review of the concert can be read here. On January 12, 2013 Salvim (Quails) for solo viola was performed by Joanna Hood, receiving its Canadian premiere along with the composition Palimpsests, performed by Aaron Herzog, piano, as part of the 50th Anniversary Concert of the University of Victoria School of Music. On December 7, 2012 Dániel Péter Biró lectured on his music in the Mediterranean Voices Conference of the Neue Vocalsolisten in Stuttgart, Germany. From December 3 – 5, 2012 he taught and lectured at the 1st International Symposium of New Music and Computer Music in Curitiba, Brazil. There he presented the lecture “Historicized Composition and Creative Ethnomusicology,” taught composition master classes, and his new piece for viola entitled Salvim (Quails) was performed by Ralf Ehlers (Arditti Quartet). This composition was commissioned by the Núcleo Música Nova / International Symposium of New Music and Computer Music and was supported with generous funding from the Canada Council for the Arts and Art Mentor Foundation Lucerne. On November 24, 2012 Dániel Péter Biró’s new composition Bahar (On the Mountain) was performed by Noa Frenkel, Sven Thomas Kiebler and Olaf Tzschoppe in the Imatronic Festival at the Center for Art and Media in Karlsruhe, Germany in coordination with the Experimentalstudio. From August 27 to September 2, 2012 he taught at the Matrix Academy for Electronic Music (on tour) in Amsterdam, Netherlands. On September 1, 2012 his composition Hadavar (The Word) was performed by Noa Frenkel, Anne Veinberg and the team of the Experimentalstudio. On August 25, 2012 he led the colloquium entitled Historicized Composition, Music and History at the Summer Composition Institute of the Harvard Music Department. On July 5, 2012 his composition Vayiru Et (And They Saw) – In Memoriam Matan Givol – Version II was performed by the Meitar Ensemble at Levontine 7 in Tel Aviv, Israel. In June 2012 his book chapter “Reading the Song and Remembering the Word: Musical Material and Historicized Composition in Ko Amar (Thus Said)” was published in New Music and Aesthetics in the 21st Century – Volume 8, Claus-Steffen Mahnkopf, Frank Cox and Wolfram Schurig (eds.) by the Wolke Verlag. On June 26, 2012 Hadavar (The Word) Version II for countertenor, piano and electronics was performed in a concert of the Studio für elektronische Musikof the Hochschule für Musik und Tanz Köln by countertenor Kai Wessel and pianist Boris Radulovic. On June 19, 2012 he presented the lecture “Geschichtliche Untersuchung durch Komposition mit Live–Elektronik und Gespenst–Instrumenten” at the Hochschule für Musik und Tanz Köln. On June 10, 2012 he presented the lecture “Reading the Song, Remembering the Word. On the Historical Development and Practice of the Ta‘amei Hamikra (Jewish Cantillation Signs)” at the Genootschap voor de Joodse Wetenschap in Nederland (Dutch Society for Jewish Studies) in Amsterdam. On May 13, 2012 the paper “On Computational Transcription and Analysis of Oral and Semi-Oral Chant Traditions” was presented at the Second International Conference on Analytical Approaches to World Music in Vancouver. On April 8 and 10, 2012 he lectured in the Tedarim Workshops on electronic music and on rhythm, extended techniques and notation with the Meitar Ensemble in Kiryat Ono, Israel. On March 3, 2012 Dániel Péter Biró performed Luciano Berio’s Sequenza XI at the SALT Festival at Open Space in Victoria, BC. His composition Bemitzraim (In Egypt) was performed by Olaf Tzschoppe during the festival. In February 2012 he worked on the sixth part of the Mishpatim (Laws) cycle at the Experimentalstudio in Freiburg, Germany. In 2011 Dániel Péter Biró was commissioned by the Meitar Ensemble for a new work. This new composition is supported by a grant-in-aid provided by the Ernst von Siemens Music Foundation. From September to December 2011 Dániel Péter Biró was Visiting Professor at Utrecht University in the Netherlands. There he worked with Peter van Kranenburg, Anja Volk, Frans Wiering, and Geert Maessen in a research project investigating Dutch folksongs, Jewish Torah canillation and Islamic Qur’an recitation as practiced in the Netherlands and plainchant via computational models. A new composition, written for the Meitar Ensemble, was performed at the Radialsystem in Berlin on November 12, 2011. In August 2011 he worked on the fifth part of the Mishpatim (Laws) cycle at the Experimental Studio in Freiburg, Germany. Dániel Péter Biró’s composition Hadavar (The Word) was given special mention in the 2011 Jules Léger Prize Competition of the Canada Council for the Arts. From May 29 – June 6, 2011 Dániel Péter Biró taught composition and lectured at the Matrix Academy at the Experimentalstudio in Freiburg, Germany. On February 15, 2011 he was awarded a prize in the International Society for Contemporary Music and Jeunesse Chamber Choir Vienna New Works Competition. On December 4, 2010 Dániel Péter Biró was awarded the Gigahertz Production Prize for Electronic Music from the Center for Art and Media in Karlsruhe, Germany and the Experimentalstudio of the German Radio (SWR). On April 2, 2011Hadavar (The Word) Version II was performed in the Fromm Concerts at Harvard University by contertenor Kai Wessel and pianist Sven Thomas Kiebler. On February 18, 2011 the string quartet Lizkor VeLishkoach (To Remember and to Forget) was performed by the Meitar Ensemble at the Hateiva Studioin Yafo, Israel. There Dániel Péter Biró presented the lecture “Composing with Gematria” and gave a composition masterclass for young composers. On November 4, 2010 the new composition Udvarim Mekalkelim (And the Words Break Down) for saxophone quintet was performed by Kristofer Covlin and the Anubis Quartet as part of the RYOT Project at the Nichols Concert Hall at the Music Institute of Chicago. On October 22, 2010 Allison Balcetis performed the piece Kilkul (Breakdown) for solo alto saxophone at the University of Alberta in Edmonton, Alberta. On August 4, 2010 Dániel Péter Biró presented the lecture “Decoding the Song: Histogram-Based Paradigmatic and Syntagmatic Analysis of Melodic Formulae in Hungarian Laments, Torah Trope, Tenth Century Plainchant and Qur’an Recitation” at Utrecht University. In the lecture he discussed Cantillion (a computational tool for chant research), which he co-developed in a coordinated research project of the School of Music and the Department of Computer Science at the University of Victoria. This research project was funded by the Social Sciences and Humanities Research Council of Canada. On June 25, 2010 he presented the lecture “Composing Resonant Spaces with Ghost Instruments” at the Matrix Academy for Electronic Music of the Experimentalstudio in Freiburg, Germany. On May 13, 2010 his composition Ko Amar (Thus Said) was performed by the Ensemble Surplus and the Experimentalstudio with Detlef Heusingerconducting at the Mehrklang Festival in Freiburg, Germany. From May 6-8, 2010 Dániel Péter Biró was a guest composer at the Hateiva Studio in Yafo, Israel. There he taught a masterclass for composers, gave a lecture about his music and took part in a concert with contralto Noa Frenkel and pianist Amit Dolberg. On May 4 he he presented the lecture “Aspects of Musical Syntax” at Tel Aviv University. Dániel Péter Biró’s Mishpatim – Part III a comissioned composition for the Aventa Ensemble, was on tour in Canada being played in Victoria, Toronto and Montreal. This work is supported through a grant from the Canada Council for the Arts. During the tour he performed Boulez’ Le Marteau sans Maître. In 2010 Dániel Péter Biró was commissioned by the Ensemble Surplus for a new work. This work was supported through grants of the Canada Council for the Arts and the Ernst von Siemens Music Foundation. On February 28, 2010 his work Shamayim VaAretz (Heaven and Earth) James Avery in Memoriam was performed by the Ensemble Surplus at the E-Werk in Freiburg, Germany. In 2010, Dániel Péter Biró completed the composition Udvarim Achadim (et les même Mots) for the Quasar Saxaphone Quartet. This piece was played on their Canadian Tour in Victoria, Vancouver, Edmonton, Toronto and St. John’s. An electroacoustic version was performed at the Espace Dell’Arte in Montréal on March 31, and April 1, 2010. This work was supported through a grant from the Canada Council for the Arts. On Nov. 21, 2009 Dániel Péter Biró performed in Boulez’ Le Marteau sans Maître. in the Klangbiennale of the Frankfurt Radio Symphony Orchestra. He also performed this piece with the Aventa Ensemble in their Canadian Tour in April, 2010. 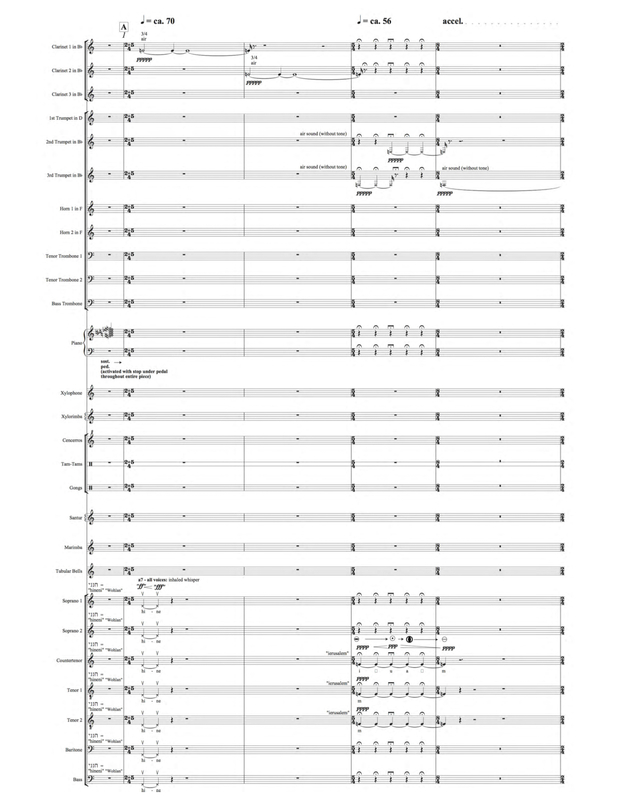 On Oct. 3, 2009 the composition Kolot (Sounds/Voices) was premiered by Vancouver New Music. This work was supported through grants of the Canada Council for the Arts and the BC Arts Council. In June, 2009. Dániel Péter Biró took part in a work-stay at the Experimentalstudio. On May 9, 2009 Noa Frenkel, Amit Dolberg and Kirk McNally presented Dániel Péter Biró’s new composition HaDavar (The Word) at the Hateiva Studio in Yafo, Israel. There he was assisted by Kirk McNally in programing and electronic performance. In Israel Kirk McNally and Dániel Péter Biró were interviewed by the CBC. During this time Dániel Péter Biró lectured on his work at Tel Aviv University. In April 2009 Dániel Péter Biró took part in a SOCAN Composer Residency in Montréal with the Quasar Saxaphone Quartet. On April 19, 2009 Mathieu Leclair of the Quasar Saxaphone Quartet performed Dániel Péter Biró’s composition Kilkul (Breakdown) at the Espace Totem in Montréal. During his stay in Montréal Dániel Péter Biró also presented the lecture “Traditions orales et musique instrumentale” at the Université de Montréal on April 15, 2009. On February 27, 2009 Noa Frenkel, Jee Yeon Ryu and Kirk McNally presented Dániel Péter Biró’s new composition HaDavar (The Word) at Open Space. On January 13, 2008 the JACK Quartet performed Dániel Péter Biró’s composition for string quartet Lizkor VeLishkoach (To Remember and to Forget) at the University of Victoria School of Music. In 2008 Dániel Péter Biró was commisioned by the Quasar Saxaphone Quartet for a new work. This commission was supported through a composer commissioning grant from the Canada Council for the Arts. He was also awarded a SOCAN Composers Outreach Residency Grant to partake in a workshop with the Quasar Quartet in Montréal in Spring 2009. In November 2008 Dániel Péter Biró presented a lecture on Hungarian laments at the Annual Meeting of the Society for Ethnomusicology in Middletown, Connecticut. He also lectured on the history of chant and on his own compositions at SUNY Purchase in Purchase, New York. In September 2008 Dániel Péter Biró co-organized (with his colleague Harald Krebs) the International Symposium Bartók’s String Quartets: Tradition and Legacy at the University of Victoria, School of Music. During the symposium he presented a lecture on the role of folk music in the quartets of Bartók, Kurtág and Ligeti and led a round table analysis symposium on Bartók’s second string quartet. A CD of his composition for organ and percussion entitled Piutim (Hymns) was released in Summer 2008 by the German label Edition Zeitklang.The composition was recorded by Zsigmond Szathmáry and Olaf Tzschoppe at the St. Petri Cathedral in Bremen, Germany. Dániel Péter Biró took part in the International Messiaen Week in Neustadt, Germany in August 2008. There his composition Mishpatim (Laws) Part I was performed on August 21, 2008 by the Ensemble Messiaen with Michael Wendeberg conducting. He also lectured on the historical development and contemporary practice of Jewish, Islamic and Christian chant traditions on August 17, 2008. In November 2007 Dániel Péter Biró was elected to work at the Experimentalstudio in Freiburg, Germany. Their curratorium consisted of, among others, composers Pierre Boulez, Wolfgang Rihm and Dieter Schnebel. In the Summer of 2008 he researched the possibilities of structuring instrumental resonance and feedback via Max/MSP. In 2008 Dániel Péter Biró was commisioned by the Aventa Ensemble. This commission is supported through a composer commissioning grant from the Canada Council for the Arts. His new composition for saxophone Kilkul (Breakdown) was performed by Kristofer Covlin in Taipei in Summer, 2009. Dániel Péter Biró’s article “Crowns” was published by the German journal Kunstmusik. His article “Remembering and Forgetting: Time, Space and Memory in Lizkor Velishkoach after Schubert” was published in Revue Circuits in 2008. In addition his artcicle “Variations on Variations” was published in a new volume of the Springer Verlag’s CCIS (Communications in Computer and Communication Science) series also in 2008. His lecture “Music and the Immigration of Language,” presented at the Darmstadt International Summer Courses for New Music was published in the series Darmstädter Diskurse in the summer of 2008. In 2007 Dániel Péter Biró was commisioned by Vancouver New Music to write a piece for voice, ensemble and electronics. This composition was supported through a grant of the British Columbia Arts Council and the Canada Council for the Arts. His paper “Plotting the Instrument” was delivered at the Annual Meeting of the American Musicology Society in Quebec City, Nov. 4, 2007. His paper “Dialogues in Transformation: Timbre, Thematic Discourse and Form In Mahler’s Ninth Symphony and Webern’s Symphonie op. 21” was heard at the Sixth European Music Analysis Conference, in Freiburg, Germany on October 13, 2007. On August 17, 2007 Dániel Péter Biró lectured on his music at the Sommerakadamie Schloss Solitude. In 2007 clarinetist Patricia Kostek commissioned Dániel Péter Biró to write a piece for clarinet and electronics: this composition was premiered at the Meeting of the International Clarinet Association in Vancouver, BC on July 5, 2007 and at the University of Victoria School of Music on September 28, 2007. Dániel Péter Biró’s composition Simanim (Signs/Traces) was premiered by the hr-Ensemble für Neue Musik (made up of members of the Frankfurt Radio Symphonie Orchester) for their Klangbiennale on May 13, 2007. This composition was commissioned by the German radio (Hessische Rundfunk). The electronics were done in cooperation with the Experimentalstudio of the SWR in Freiburg. In August 2006 Dániel Péter Biró’s composition, Mishpatim (Laws) Version 2 for voices, percussion solo and chamber ensemble was performed by Petra Hoffmann, Erik Sohn and Matthias Horn and the ensemble recherche on August 6, 2006 at the Darmstadt International Summer Courses for New Music.Titus Engel conducted the performance. The piece was commisioned by the Internationale Musikinstitut Darmstadt. Based on a text from the Hebrew Bible Mishpatim (Exodus 23:1-33), this composition deals with relationships of numbers, words and music. 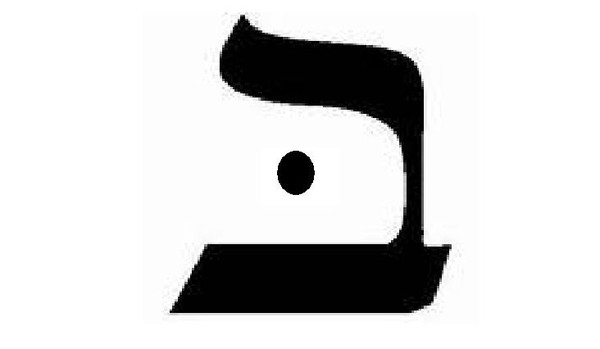 Within this piece, word, number and organized sound are correlated by means of Hebrew number symbolism (gematria). The first version of this piece was premiered by the Ensemble Surplus at the Schloss Solitude in Stuttgart, Germany in August 2003 with Olaf Tzschoppe, percussion. Mishpatim (Laws) Version I was also performed at Princeton University in December, 2003 with Danny Tunick (solo percussion). as well as at the E–Werk in Freiburg, Germany on March 8, 2004. In January, 2006 his article and accompanying CD Composing “Mishpatim (Laws)” A Response to Ben’s Mishna Music as a Music was published by Perspectives of New Music. In October 2006 Dániel Péter Biró was a delegate at the Victoria International Arts Symposium. There he lectured on issues of music and activism. in 2006 Dániel Péter Biró held a faculty fellowship from the University of Victoria Centre for Studies in Religion and Society researching the structuring of textual and musical syntax in early Jewish and Christian chant. He delivered a lecture about his findings at the University of Victoria on November 29, 2006. In December 2005 the Trio Surplus, Orion Visiting Artist at the University of Victoria, performed his composition BeMitzraim (“In Egypt”) at the University of Victoria and at the Western Front in Vancouver. These concerts were generously sponsored by Vancouver New Music, the Goethe Institute of Toronto, the German Consulate in Vancouver and the University of Victoria. In December 2005 Dániel Péter Biró delivered a lecture on the music of Helmut Lachenmann at the Conservatory of Music at Purchase College, New York. In the same month he delivered a lecture on the music of Morton Feldman at the Association for Jewish Studies Conference in Washington, D.C.. In February 2005 Dániel Péter Biró delivered a lecture on his music at the University of Washington in Seattle. In August 2004 he lectured on the compositional methodology employed in his composition Mishpatim (Laws) Version I at the Darmstadt International Summer Courses for New Music. in Darmstadt, Germany. In January, 2003 Dániel Péter Biró researched the original manuscripts of Anton Webern, Brian Ferneyhough, Helmut Lachenmann and Morton Feldman at the Paul Sacher Foundation in Basel, Switzerland. On July 23, 2002 his percussion piece BeMitzraim (“In Egypt”) was played by Lázslo Tömösközy at the Bartók Festival in Szombathely, Hungary. It was also performed in April 2003 in Taplin Auditorium by Danny Tunnick at Princeton University. On April 22th, 2001 the Basler Quartet premiered Dániel Péter Biró’s work for String Quartet Lizkor VeLishkoach (to Remember and to Forget), which was commissioned by the Villa Bernau, Switzerland in 2000. Lizkor VeLishkoach (to Remember and to Forget), was also performed on May 8th, 2001 by Speculum Musicae (Curtis Macomber, Carol Zeavin, Lois Martin and Eric Bartlett) at Taplin Auditorium at Princeton University. Dániel Péter Biró’s elecroacoustic sound installation Variations was also commissioned by the Villa Bernau, Switzerland in 2000. The installation took place on April 15-16, 2001 at the Villa Bernau in Wabern, Switzerland.The original sound installation was created in coordination with the sculptor Wolfram Renger.The installation was also presented at the Listening in the Sound Kitchen Festival from Novemebr 15 – 17, 2003 at Princeton University. On November 26, 2001 the piece Eine Kreuzung (Daf) for two guitars and tape was premiered at the Stuttgart Opera in Stuttgart, Germany. The piece was commissioned by the Stuttgart Opera and is based on a short prose text by Franz Kafka entitled Eine Kreuzung (the English version of the story is called A Crossbreed. The piece was played by the Brandt/ Hofmann Guitar Duo.